Landlord and real estate professional Barry Hers looks back on his decades of support for New York City's HIV/AIDS Services Administration housing program. 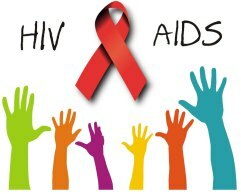 NEW YORK , NEW YORK, UNITED STATES, March 26, 2019 /EINPresswire.com/ -- Established as the HIV/AIDS Services Administration, HASA—as the organization is known today—is focused on assisting individuals based in New York City living with AIDS or HIV-related illnesses to enjoy healthier and more independent lives. Responsible for a variety of related initiatives, HASA is perhaps best known for its housing program, generously supported by property investors and landlords such as Barry Hers, who here reveals more about his decades of support for HASA and other good causes in the city. "Originally established in the 1980s, I was among the first landlords in New York to embrace the organization's housing program here in the city," reveals Hers of his early support for HASA. Hers, who owns numerous properties in Brooklyn and elsewhere throughout New York City, is well known for his generosity, having also contributed heavily toward the city's Emergency Rental Assistance Program in addition to supporting HASA's housing efforts. "Since initially committing to HASA's efforts, I've housed countless individuals," says Barry Hers, "at properties including 60 Clarkson Avenue, Brooklyn, and a nearby address on Flatbush Avenue." Further to its housing program, the organization also serves to help those in need with personalized service plans designed to target important benefits. "HASA is also dedicated to providing support specific to an individual's medical situation," adds Hers, "tailored toward further enhancing their well-being." With centers located in all five of New York City's boroughs, HASA is also committed to providing cash assistance, transportation assistance, home care, mental health and substance abuse screening, treatment referrals, and employment and vocational services. In addition to properties on Clarkson Avenue and Flatbush Avenue in Brooklyn, property investor Hers also owns a plethora of other addresses, many of which have been entered into both HASA and New York City's Emergency Rental Assistance Program. Hers, as a real estate professional, has also brokered deals on an abundance of other properties in the city intended for dedication to HASA's housing initiative. "Over the course of the last three decades," Barry Hers adds, wrapping up, "I've further made it my mission to persuade fellow landlords in New York City to join HASA's housing program as demand for properties has grown."